I Tried Something New. | sew. quilt. explore. 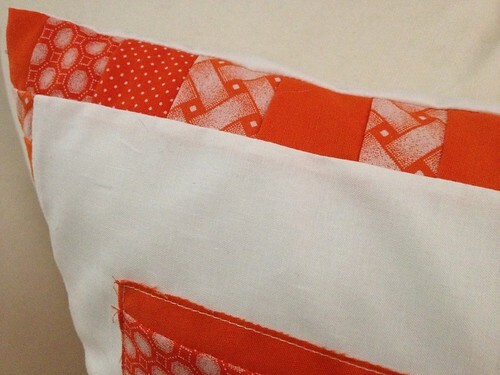 | modern quilting | tutorials: I Tried Something New. 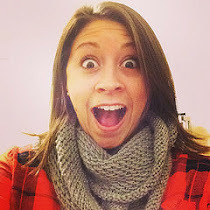 I know this is going to be hard to believe, but I have made quilts, bags, pouches, I embroider, knit, etc... 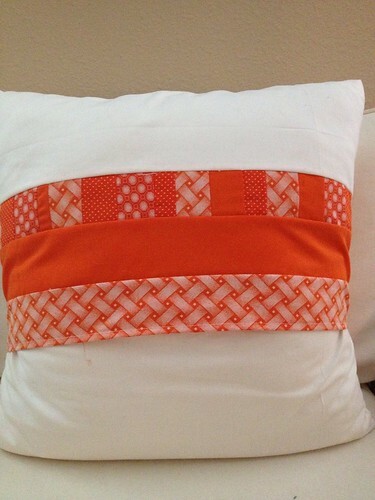 BUT I had NEVER made a pillow until the other day. Shocking. Usually that's one of the first things someone does but I don't know, I've just never gotten around to it. The motivation came when thinking of what to do for my boyfriend's birthday. He loves the NY Giants and he loves the University of Tennessee, the latter of which is hard for me to accept because I'm a University of Texas Alum, aka the "real" UT. Just to make that clear. 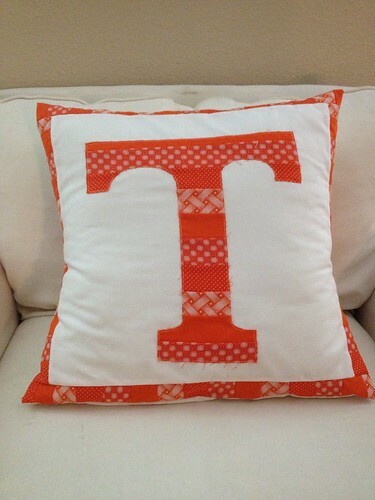 I put the loyalty aside and took one for his team and decided to make him a Tennessee pillow. I had to make sure it was the obnoxious orange, and some fabrics I picked up at the Houston International Quilt Festival worked perfectly. What's cool about these fabrics is that they were printed in Africa! I thought the prints were masculine enough to be okay for a guy. 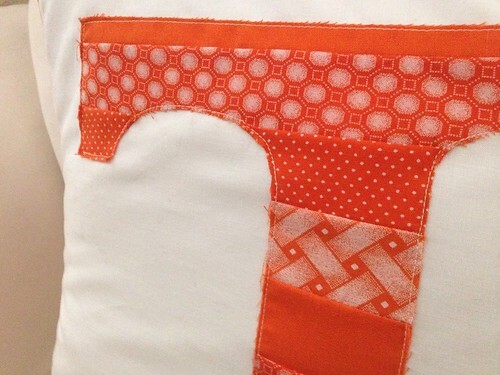 I machine appliqued the T to a Kona White background and bordered it with scraps left over from the T.
And for the back I went with an envelope closing, again tying in this obnoxious orange. He ended up really liking it and it's front and center on the chair in his living room. I think that'll do for a first try pillow! This will definitely not be my last pillow, I'll have to keep this new thing going! What a super fun pillow!! Terrific!! Kudos to you for trying something new! 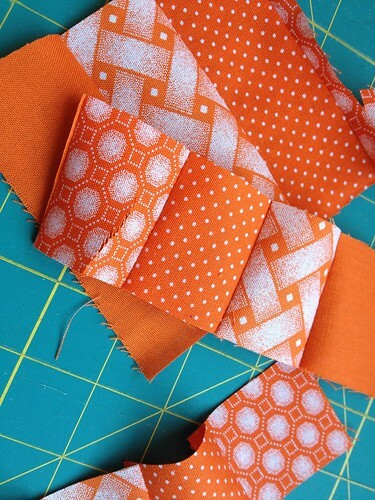 It's a beautiful patchwork T. I love the oranges you chose. Are you entering tangerine tango?